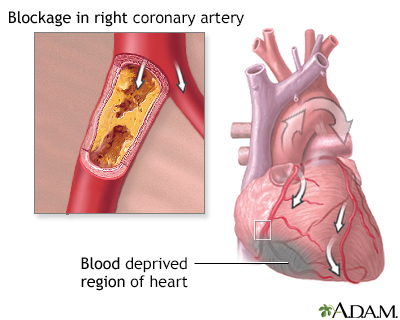 The coronary arteries supply blood to the heart muscle. The left coronary artery supplies blood to the left ventricle. 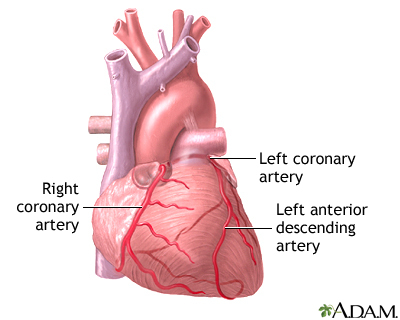 The right coronary artery supplies blood to the right and left ventricles. 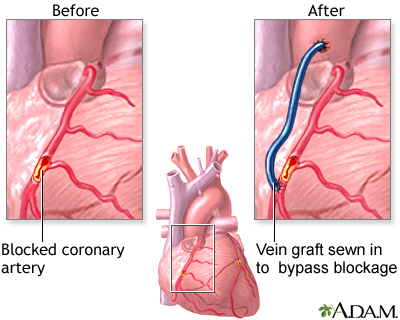 Coronary artery bypass grafting (CABG) or heart bypass surgery may be recommended when one or more coronary arteries are seriously blocked and blood supply to the heart muscle is insufficient. Several tests can identify the cause of the chest pain (angina), such as blood tests, stress tests, heart scans, and x-ray studies (angiograms). 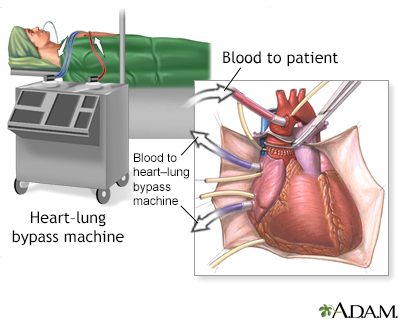 Although the heart itself is not "opened", the heart-lung bypass machine is used to re-route the blood around the heart while the surgery is being done to provide adequate circulation to the brain and other vital organs. Coronary bypass surgery is an open heart surgery (the chest is opened, but not the heart itself). It is usually done through an opening through the breast bone. While one surgeon is working on the chest, another surgeon works on taking a length of vein (saphenous vein) for the bypass through a long incision along the inside of the lower leg. 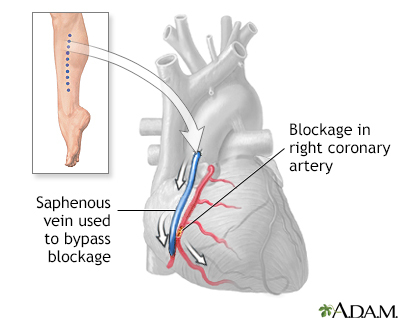 The vein is sewn in above and below the blockage in the coronary artery. Alternatively, an artery from the interior aspect of the chest wall (internal mammary artery), or the arm (radial artery) may be used. 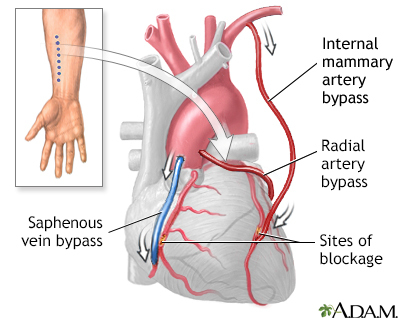 In many cases, more than one coronary artery must be bypassed, and the internal mammary, the radial arteries, or several segments of the saphenous vein are used to perform the bypasses. After the operation, the patient will spend 5 to 10 days in the hospital, the first 1 to 3 days in an intensive-care unit (ICU). Chest tubes will be in place for the first 2 to 3 days to drain any residual blood and fluid from around the heart and lungs. Heart functions will be monitored. The full benefits from the operation may not be ascertained until 3 to 6 months after surgery. Sexual activity may be resumed 3 to 4 weeks after surgery. All activities that do not cause fatigue are permitted, but the patient must not strain the healing chest bone (sternum).